A new look in Clematis! 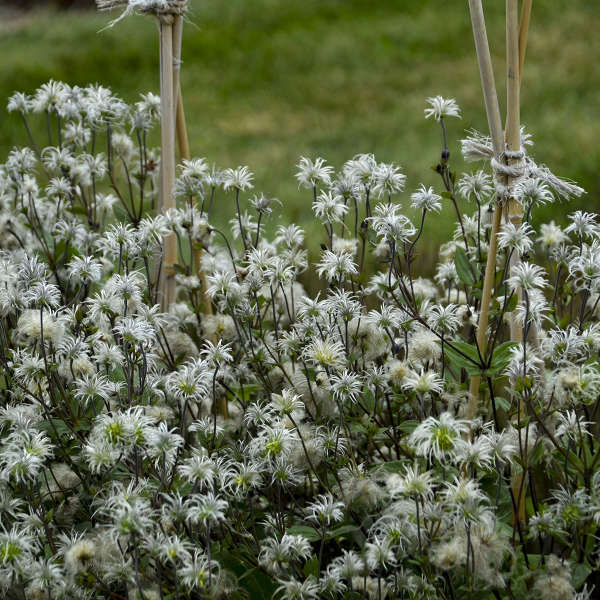 This non-vining Clematis is completely herbaceous, meaning that it dies back to the ground at the end of the growing season. 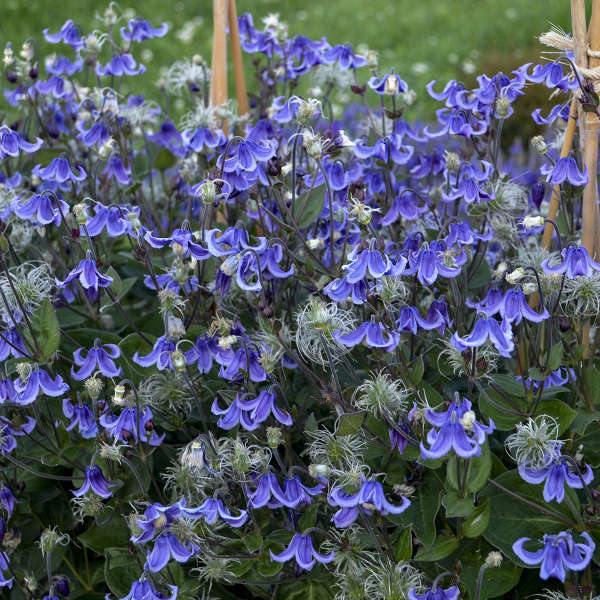 Blue bell-shaped flowers appear from late May to June, with some rebloom into the later summer months. 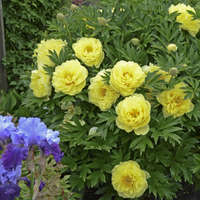 After it is finished blooming, attractive cream thread-like seed heads appear. 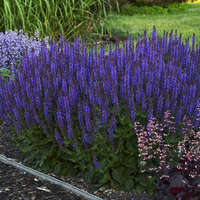 Broad, green foliage completes the package of this unique perennial. New leaves have a bronze cast to the undersides. 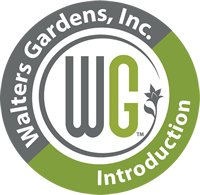 This plant benefits from staking, cages, or neighboring plants for support. 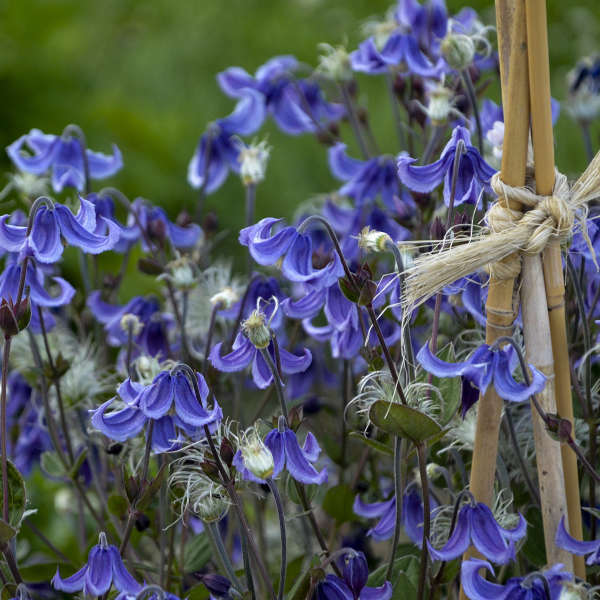 Clematis can be grown in full sun or light shade, but its base and roots must be completely shaded. You may need to plant something directly in front of its rootball to keep it cool and shaded. 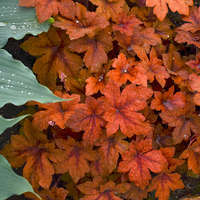 A thick layer of mulch will also help to keep the soil moist. 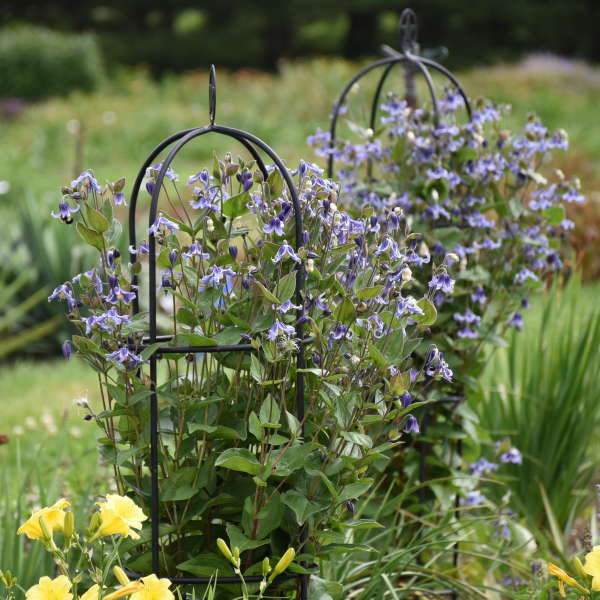 Bush Clematis prefers to be grown in average, well-drained, slightly alkaline soil. Adding lime to the soil will help to provide these conditions if your soil is naturally acidic.